Tehran has repeatedly slammed Israeli and US claims of Iran's military presence in Syria as groundless, though admitted sending military advisors to help Damascus fight terrorism. Israel is not interested in the escalation in Syria, but will respond if Iran continues to "provoke" the situation on the Syrian border, Foreign Ministry's Deputy Director General Alexander Ben-Zvi said Monday. "I hope that this will not happen … Of course, if they [the Iranian armed forces] attack the territory of Israel — and we regard the drone incident as a direct attack on the territory of Israel — then we will not have any other way out. We will not sit back. And anyone who wants to take some steps, should understand that there will be retaliatory measures," Ben-Zvi told reporters, commenting on Ban’s statement. 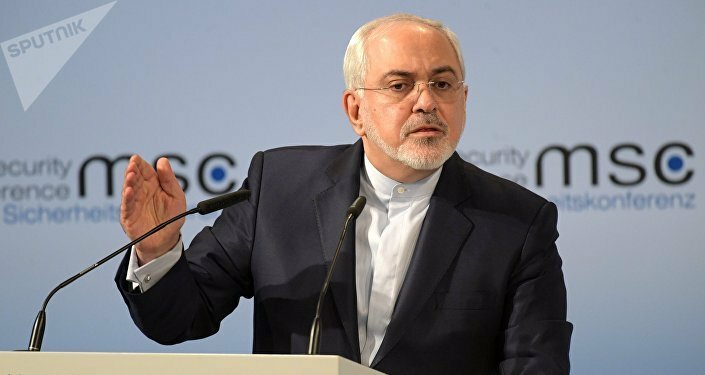 According to him, Iran's military presence in Syria allegedly escalates the confict, while Israel will make every effort to prevent it from becoming permanent. At the same time, the diplomat noted that "ensuring the security of our state" was a primary interest of Israel in the issues regarding both Syria and the Palestinian settlement. "If there is no aggression against Israel, then we have no interest in fighting. We are not interested in the Syrian territory. If everything is quiet there — then this is the main point… Until 2014, the most Israeli border with Syria was the most peaceful. We want to return to this state. There was no peace agreement between us, but the border remained calm. And this is the main point," Ben-Zvi said. According to the diplomat, Israel is in close contact with Russia on the issue of the withdrawal of Shiite troops from the southern de-escalation in zone in Syria. "We are in close contact with Russia on this issue, as with the United States and Jordan. But, needless to say, whose presence is now the largest in Syria? Russia. And that is why, of course, our contacts with Russia on this issue are more frequent and intensive," the diplomat said. According to Ben-Zvi, the withdrawal of the Shiite troops is necessary to stabilize the situation in Syria’s the southern de-escalation zone. "The fact that it [the situation in the southern de-escalation zone] has not completely stabilized — this is understandable. Because it is necessary, according to the agreements, to withdraw the Shiite troops to a certain distance from the line. This is not implemented yet. But that is exactly what we are working on now," the diplomat said. "Definitely yes," the diplomat told reporters, when asked whether Russia understood Israel's concern over the presence of Shiite troops in Syria and whether it could provide guarantees that Iran would not approach the Golan Heights. "The fact that we have disagreements with Russia over Iran is not a secret, it is understandable. Our position in this situation is clear – we have reiterated many times to our Russian colleagues how we see the situation and that in any case a settlement in Syria can be reached only when there is no Iran, Hezbollah and Shiite troops," the diplomat added. From the point of view of Israel, the Iranian presence in Syria will not lead to a settlement of the conflict, but rather to an escalation of the situation, he stressed. "That is why we are trying to solve this problem. There are several proposals. I will not go into details of what was or was not agreed upon, these are still internal issues, but I tell you for sure that there is an understanding. The question is what the interests of the parties are, we are trying to discuss them," Ben-Zvi said. While the Israeli and US leadership have been accusing Iran of having military presence in Syria and even having a base there, Tehran has strongly refuted the claims, calling them groundless, though admitted sending military advisors to train troops loyal to Damascus. Israel, however, viewed Iranian activities as a threat to national security and repeatedly warned that Iran was allegedly building a permanent military base south of country's capital of Damascus. February was marked by a major escalation in the conflict between Israel and Iran in Syria. Earlier this month, the Israeli army said its helicopter intercepted an Iranian drone launched from Syria and that the Israeli Air Force (IAF) struck Iranian targets in Syria. The Israeli moves prompted fire from Syrian air defense systems, resulting in an Israeli F-16 fighter jet being hit. In the second wave of the attack, the Israeli forces struck 12 targets in Syria, including Syrian air defense batteries and Iranian military facilities, the country's Defense Forces (IDF) said. Amid the tensions, Israeli Prime Minister Benjamin Netanyahu said that Israel would further act to prevent Iran from establishing the permanent presence in Syria.